I’m a total nosy parker so I love reading Instagram posts and having a look at cute photos put together in a collage. 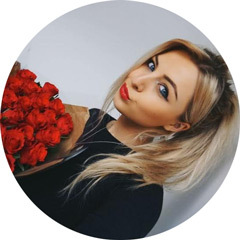 I also find it helps me get to know the person behind the blog that bit better as is a good chance to show your readers a glimpse into your everyday life or to tell them about anything exciting you’ve been doing. If you don’t have instagram, don’t worry. You can still put together a collage of photos from your phone. My favourite website to use for these type of collages is Ipiccy! Whenever I’m stuck in a rut and lacking in post ideas, a wish list post always pops to mind. Lets face it, most of us have wish lists, especially us beauty bloggers who are constantly bombared with new beauty releases that we 'need' to get our little blogging mitts on. There's different kinds of wishlists you can do too if you want to mix things up a bit. For example - '(Inset brand here) wish list', 'Autumn Fashion Wishlist' 'High end Beauty Wishlist' and so on. The possibilities are truly endless. Just incase you don’t have a clue what these are and you think I’m just writing some random letters – these abbreviations stand for face, nail and outfit of the day. 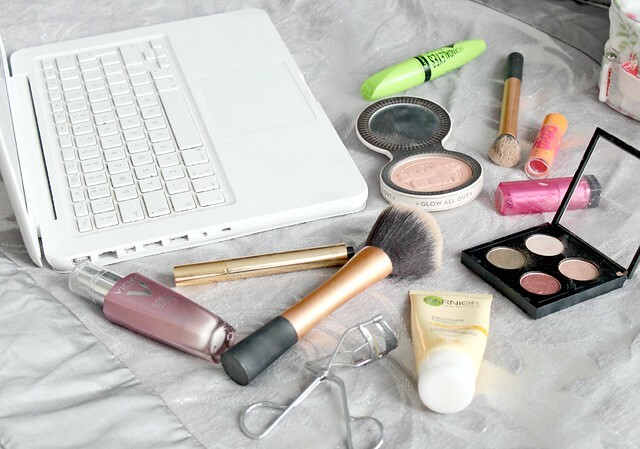 Most of us do our makeup and get dressed every day so why not take a few snaps and share them on your blog? Or if you're someone who is always changing your nail polish, share that too. Admittedly I don't do these kind of posts as often as I'd like but I know I can always turn to them if I need to. One thing I love to read on blogs is a really deep and meaningful lifestyle post. You might not be one for sharing your feelings and emotions and that’s absolutely fine but why not write about something you’re passionate about? I always find these posts get the best response as they come from the heart and spark up conversation. For example, I wrote a post called ‘The dress size debate’ which was about clothing in shops becoming increasingly smaller and unrealistic, leaving us women feeling poopy about ourselves when we go shopping. I didn't necessarily 'plan' this post, it just came to me one day and I thought, why not share my thoughts about this on my blog? The post got a really positive response and it was interesting to hear other peoples views on the topic. Tags have to be one of my favourite 'go-to' posts when I'm stuck in a blogging rut. If I'm feeling completely uninspired and don't have the foggiest what to write about, I can always rely on a tag to get me back into the swing of things and leave me feeling motivated. There's millions of tags flying around online so all you need to do is have a little google, find one you'd like to do and get writing. Most of the beauty blog tags relate to beauty or blogging in one way or another and I find writing about the reasons I love blogging or my favourite things really helps to give me a boost and realise why I love blogging so much. I actually made my own tag last year called 'Blogging Love' which you can find here - its all about sharing the reasons you love blogging so if you haven't done it yet, get involved. I'd love to read your answers. I've done a few 'top five' posts on my blog in the past as they're fun to put together and interesting for your readers to read. The possibilities are endless with these kind of posts - you can do your top five blushers, lipsticks, lipglosses, eyeshadows, bronzers, foundations, highlighters, hair products, body products, nail polishes, perfumes - you get the idea right? These posts are nice and easy to write too as it isn't hard to talk about your ultimate products and the reasons why you absolutely love them! 7. Currently Loving - As beauty bloggers, most of us are always trying new products on a regular basis. If you're not feeling inspired or you're lacking ideas, why not share the products you've been loving lately? I always like having a nosy at the products people are loving as it gives me ideas for things to try when I next feel like treating myself. 8. What's in my ... ? Ah, good old 'what's in my ...?' posts. There's a whole host of these you can get involved in when you're stuck for ideas. A few include what's in my bag, what's in my travel bag, what's in my makeup bag, what's in my clutch bag, what's in my gym bag - the possibilities are endless. I've even seen people do 'what's in my iphone' type posts where they show a sneak peek at the apps they use and what not. I find these posts really fun to read as I'm a nosy parker and like seeing what people stash in their bags! If you want to see what's in mine, I wrote a post here a little while ago. There's nothing nicer to see in blog land than fellow bloggers supporting one another and one way to do this is to share your favourite blogs in a 'share the love' type blog post. I've been featured in some of these posts myself and everytime I get a tweet informing me I've been featured in this kind of post, I smile from ear to ear. They're just so lovely and uplifting to read and they also give your readers the chance to find some new blogs to read themsevles. I haven't actually done one of these posts myself yet but its been on my list of things to do for quite some time now. I just have the huge problem of deciding who to feature as I have SO many favourite blogs. Maybe I'll make it a monthly post so all my faves get the chance to be featured. Keep your eyes peeled! Finally, if you really don't have the time/energy/motivation to do any of the above and fancy a little break (we all deserve a break from time to time), why not rope in some of your favourite bloggers to write some guest posts for you. This will enable you to take a little break while you re-charge, keep your blog full of great content and give fellow bloggers the chance to gain some exposure to a new audience. Its a win win situation! So there we have it, my suggestions of posts to write when bloggers block strikes. Lets face it, we've all have those moments where we feel totally uninspired and can't string a sentance together but that's life and its normal to feel like that, especially if you have a busy work and home life to deal with on top of blogging. I guess my final piece of advice would be to not let it get you down. If you need to take a break from blogging be it a couple of days, a week or even a month, so be it. If your readers truly enjoy reading your blog, they won't mind waiting a while for your next post. Sometimes its good to give yourself a break and clear your head. I hope this helped guys! Can you think of any other posts you turn to when bloggers block strikes? Great suggestions, I always rely on good old wishlist posts. Some fab Ideas some of which I have used myself. I also love looking at people's instagram collages as it the app on my phone which I use the most i'm addicted to it! Fab post! Also curious to what eyeshadows you have in your quad there! Great post and really helpful :) I do these things when I get bloggers block!! Great post hun :) - and great idea's as well! will deffo keep these in mind! This was so helpful! I find myself getting stuck sometimes too, so I will definitely be using some of these ideas when I do! :) Thankyou! Thank you for this post! I feel a bit like this myself right now, I'm just lazy when it comes to taking pictures (plus the darker mornings don't help!). Great post :) wish I had this last week, had the worst bloggers block ever! there are some really cool ideas here to help for ideas for posts! Brilliant ideas :-) perfect for when writers block kicks in! Ah, this post will definitely come in handy! such a great, useful post! These are great super great suggestions. I love having a sneaky peak into other's handbags and beauty bags through "What's In My..." blog posts. This is suuuuch a great post Kayleigh, I often struggle to come up with inspiration for posts, will definitely write this list in my note book for ideas! Obviously a What's In My Makeup Bag is such an obvious one but I've never done it and I definitely should! this is so helpful! I've started lacking inspiration since starting back at college but I'm definitely going to be using some of these ideas! I love this post! Really gives me plenty of great post ideas when I'm stuck or super busy and want to stay connected! Just beginning the blogging stuff so these ideas are great to keep in mind! Thanks! Lots if really great ideas!! Thanks for sharing! Sometimes I need a little inspiration! Just found your blog and your do an amazing job! Stunning! :-) can't wait to read more!! This post has saved my blogging life! Thank you! This post is really helpful you have some great suggestions, theres nothing worse than not knowing what to write and having nothing to write about and I often find myself in that place at the moment. thx for the suggestion :)) super helpful. I find these posts so helpful! So thank you! Great tips! Today I felt like I had nothing to blog about and so I just did a weekly update of random things from lifestyle to beauty but now I know I can spread those out into several different posts when I have writers block.. thanks!